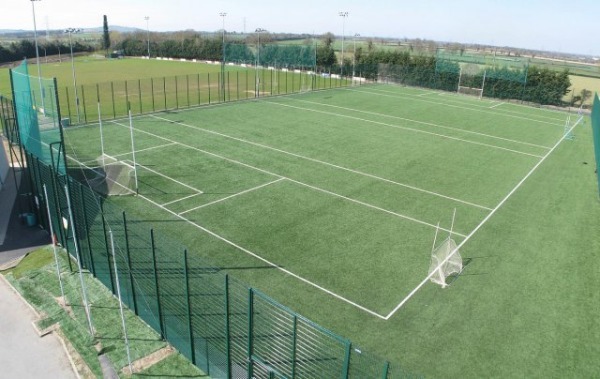 The Boys Football and Hurling Academy takes place each Saturday morning from 10am for boys born in 20011, 2012 and 2013 on our all weather pitch at the clubhouse grounds at The 12th Lock. The boys play 45 minutes football and 45 minutes hurling. Which they play first is only decided on the day so as to have as many boys as possible playing both codes. Our head coach for the Academy is our Games Promotion Officer (GPO), David Moran. When you enter our all weather pitch you will notice a black sign with yellow numbers on it on the far left end of the pitch and on the right hand side of the pitch. The signs will read "2011" and "2012/13" .Your son should go to which ever sign corresponds to his year of birth. We have a limited number of hurls and helmets for beginners but children are encouraged to bring their own gear once they have decided they would like to stay in the nursery. On our all weather pitch for girls born in 2010, 2011 and 2012. The girls' nursery and academy is on the far end of the pitch. 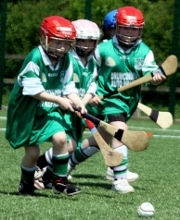 Similar to the boys, girls play 45 minutes football and 45 minutes camogie. Which they play first is only decided on the day so as to have as many girls as possible playing both codes.